Christopher Shaowei is an IP attorney and senior partner of NTD Intellectual Property Attorneys. Over 28 years of practice, he has litigated many complex cases and frequently represented clients before judicial courts and administrative agencies in China. 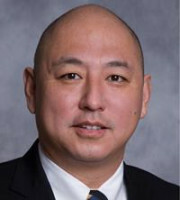 Mr Shaowei also counsels clients and provides legal services in all areas of intellectual property, including licensing, dispute resolutions before the administrative and judicial authorities, patent law, trademark law, copyright law, trade secrets, unfair competition, domain name disputes and patent prosecution. Mr Shaowei has been honoured numerous times by Asialaw and Managing Intellectual Property. He is actively involved in the legislative process in China relating to IP laws and regulations, and has participated as an expert in the amendments to the Chinese patent and trademark laws. He is a frequent speaker on IP enforcement, patent and trademark prosecutions, IP management strategy and technology transfer issues. Mr Shaowei has served as the vice chairman of the Licensing Executives Society (LES) China and is a board member of the All China Patent Agent Association. He is also a member of the International Association for the Protection of Intellectual Property, LES International and the International Trademark Association.